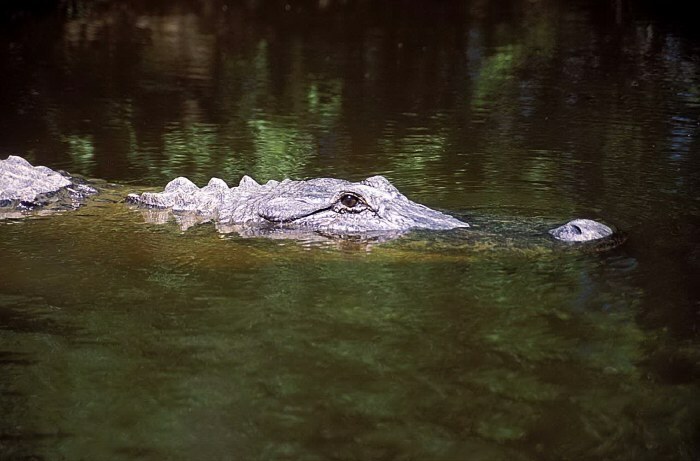 This is an exceptionally large alligator that usually hangs out near the first curve of the bayou past the private camps near the Alligator Bayou boat launch. Despite its size, it is skittish and has left its sunning spot near the bank due to my approach. It is swimming in the classic style, with its nostrils and eyes just above the water. It is also showing a bit of its back as a way of telling me to back off.